What a cracking fight we have in store for us this weekend with reigning WBO Welterweight Champion Timothy Bradley putting his title on the line against Juan Manuel Marquez in Las Vegas live on Sky Sports 1’s program Fight Night International Live. Timothy Bradley who currently holds the WBO Welterweight title fights out of Palm Springs, California and is currently undefeated from 31 professional bouts with 30 wins, 1 no contest and 12 of his wins coming by way of knock out. There is no doubting that Bradley has been in with some of the best in this division, he beat Kendall Holt on points and then he went on to end three undefeated records in Lamont Peterson, Luis Carlos Abregu and Devon Alexander. He then beat Joel Casamayor by an eighth round stoppage and then his biggest of wins was when defeating Manny Pacquiao to claim his current title which he successfully defended when beating Ruslan Provodnikov on points back in March of this year. His win over Manny Pacquiao spark controversy and led to some reporters claiming corruption in the sports, ESPN’s Teddy Atlas said “It’s either corruption or incompetence. There’ll be a rematch. It speaks to the corruption of the sport. The criminals will be rewarded” but the scores went in Bradley’s favour and the 6/1 underdog kept his unbeaten record. Mexican Juan Manuel Marquez fights out of Anaheim, California and comes into this fight with a record of 55 wins, 6 defeats and 1 draw with 40 of his wins coming by way of knock out. Like Bradley he has been in the ring with Manny Pacquiao and has also beaten him, in fact he has fought Pacman four times, the first was back in 2004 when the fight ended in a draw, he then went on to two defeats before finally getting the better of him in December of last year when he finished the fight in the 6th round having already put him on the canvas in both rounds 3 and 5. He has also been in the ring with Casamayor who he beat with an 11th round KO compared to Bradley’s 8th round KO, he has also beaten the likes of Marco Antonio Barrera, Juan Diaz twice and he took Floyd Mayweather the distance although well and truly beaten on the night. We have the top two ranked boxers in the world in this division, Mexican’s number 1 ranked and America’s number 1 ranked which should lead to a superb fight. Marquez is always going to have the questions asked about his age, he is now 40 years old and Bradley is 10 years his junior, he has also been out of the ring for 10 months which is always going to be difficult and coming back to fight someone like Bradley makes it that much more tougher. Marquez is the bookies favourite with him best priced 1.83 for the win whilst Bradley is 2.30 so there is not too much between them, with the age difference and the length of time that Marquez has been out of the ring most would think that the longer the fight goes on the more it will favour Bradley but I am not of this opinion because Marquez will see out the 12 rounds if needed. Marquez will not waste too many punches, his throws are usually precise and although Bradley has the speed, he will start to eventually get caught by these shots and they will take affect over the rounds. Will Marquez knocked Bradley out is the question and for me the answer is no but he will put in a better performance and stick to his guns which will result in a point’s decision in his favour. Well I got that wrong didn’t I! 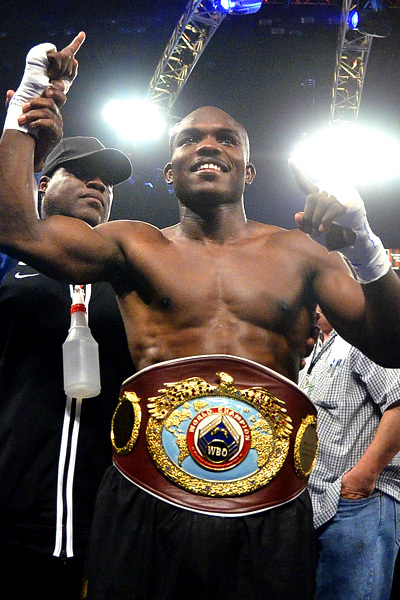 Timothy Bradley went on to win by a split decision so well do him on retaining his title.